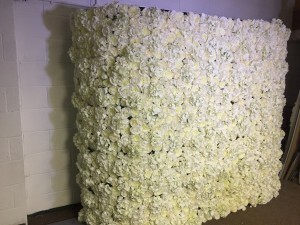 Our 6 metre wide Flower Wall is an perfect alternative for behind the top table! 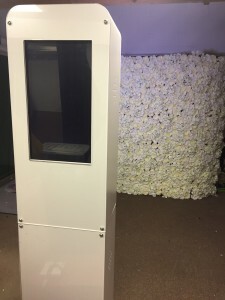 Bursting with ivory artificial high quality flowers, which look as good as the real thing. 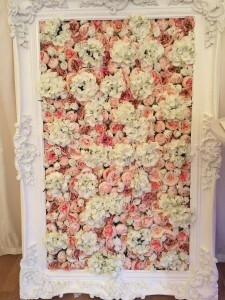 Our Flower Frame is filled with ivory and blush pink artificial flowers, within a vintage style white frame. A perfect Focal point for any room and it makes for a great backdrop for selfies and photos. Our Flower Wall is bursting full of Ivory Roses & Hydrangeas. A Beautiful backdrop that works with our Open Style Photo Booth. 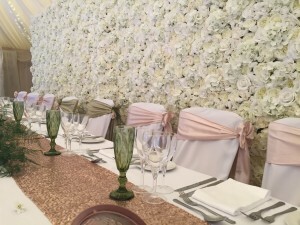 Speak to us about early set up on the Flower Wall – perfect for ceremonies behind the Registrar Table for a stunning backdrop throughout taking your vows. 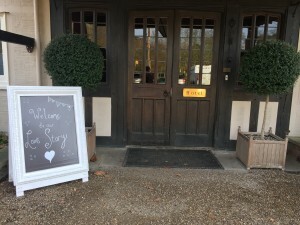 Our Wishing Tree is a different twist on the traditional Guest Book. The Tree is lit with LED Lights and beautiful diamontee decorations and your guests can write their wishes to you and hang them upon the tree! 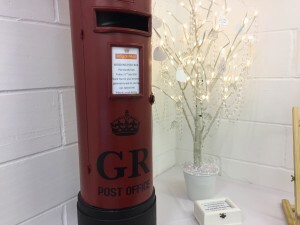 All wishes are collected and given to the couple in a dedicated box. 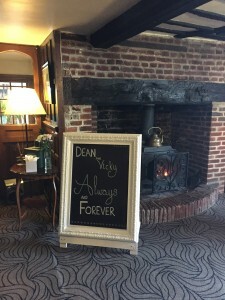 Giant A3 Chalk Boards – Personalised to your day! 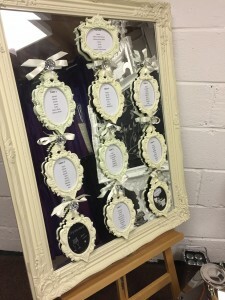 Our Mirrored Table Plan with Easel is proving popular. 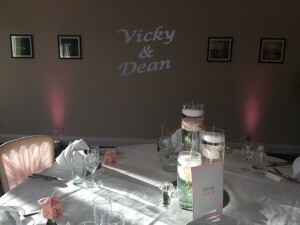 Let us know your table plan with names and we’ll do all everything for you.